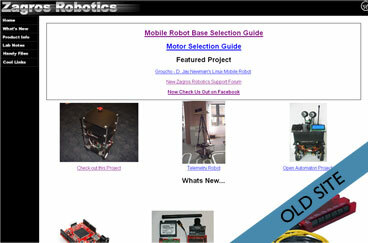 There is something very satisfying about a web redesign project. 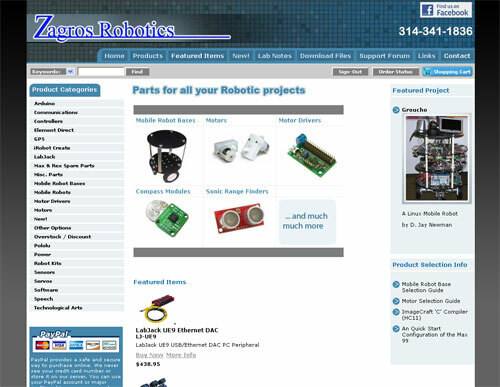 Take a look at this site we seriously revamped for Zagros Robotics. The site not only looks more appealing and easy to use but has the advantage of some major under the hood improvements too. The original site incorporated a shopping cart (PDshop.net) and while this had been well configured in terms of categories it was embedded into the static site with frames (yikes!…. a SEO nightmare). The shopping cart software was the basis of our redesign. We created and implemented a unique template and used the custom page feature within the software to add all the “static pages” of the site. The frames were stripped away leaving a site that is much more friendly towards the search engines and is also a lot easier for the client to manage. This entry was posted in Before and After, Uncategorized, Web Design Projects. Bookmark the permalink.